Upon the filing of a Chapter 7 bankruptcy petition, the office of the U.S. Trustee assigns a trustee to the case. The trustee's role is to find any non-exempt assets that the debtor may have and liquidate them for the benefit of the creditors. In cases where the assets of the debtors either fall under an exemption or are subject to valid liens (mortgages and cars are an example), the creditors receive no distribution from the trustee. Most cases filed under Chapter 7 have no assets. 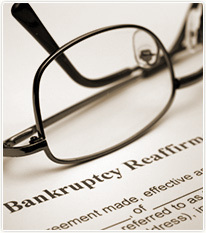 Upon filing a bankruptcy petition under Chapter 7, the law creates a "bankruptcy estate." All of your property comes under the bankruptcy estate and becomes the "owner" of it. You lose your ability to sell or gift any property without permission. The trustee is the administrator of that estate until the case is discharged. In a case with assets, it is the Trustee's obligation is to maximize the money available to pay creditors through the sale of non-exempt debtor assets. This is accomplished by selling any non-exempt property that is owned outright. If there is money owed on the non-exempt property but enough equity that a profit will be made, the trustee will also sell that property and distribute the money to creditors. In a Chapter 13 case, the trustee has a bigger role than in a Chapter 7 case. In a Chapter 13 case, you make monthly payments to the trustee for three to five years. The trustee then distributes the funds among your creditors. Whereas a Chapter 7 trustee's role only lasts a few months, in a chapter 13, the trustee will continue to be involved for the full term of your case which is usually three to five years. A Fort Lauderdale bankruptcy lawyer can help you sort the differences between Chapter 7 and Chapter 13 bankruptcy. The Bankruptcy Law Firm of Clare Casas handles bankruptcy cases in Miami, Hollywood, Fort Lauderdale, Plantation, Pembroke Pines, Sunrise, Cooper City, Coconut Creek, Davie, Dania, Deerfield Beach, Hollywood, Hallandale, Inverrary, Lauderdale-By-The-Sea, Lauderdale Lakes, Lauderhill, Margate, Lighthouse Point, North Lauderdale, Miramar, Oakland Park, Pembroke Park, Tamarac, Weston, Wilton Manors, Pompano, Coral Springs, Boca Raton, Delray and South Florida.